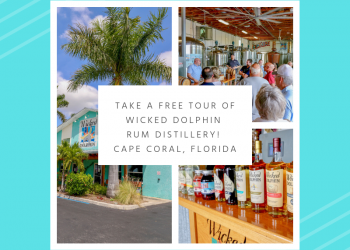 The Whale is a terrific restaurant and sports bar to visit whether you’re a local resident, or while on vacation in Fort Myers. 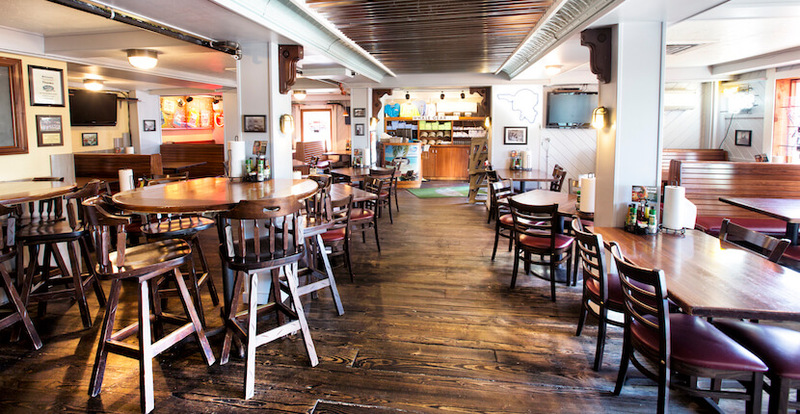 From great food to sports on 20 flat-screen TVs, The Whale has got you covered! 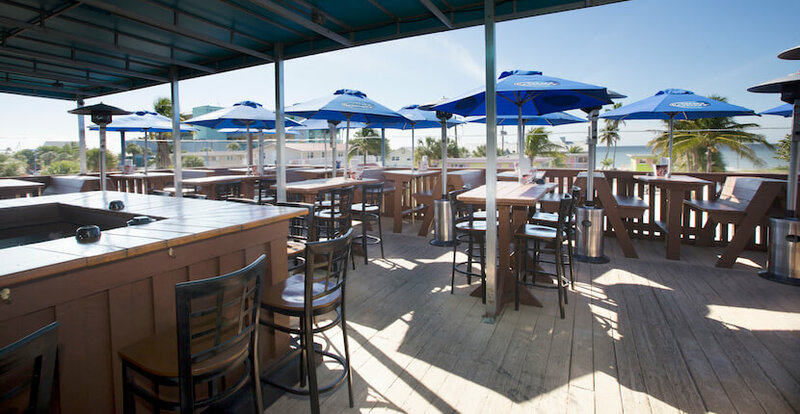 Enjoy ice-cold beer, cocktails, or a meal indoors in air-conditioned comfort, while watching a spectacular Gulf sunset on the rooftop patio – The Lookout Lounge, or on the deck out front. 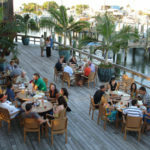 The Lookout Lounge rooftop bar offers a fantastic nightly Happy Hour featuring 99 cent drafts, $2.50 domestic bottled beer, $3.00 well drinks and house wines, 10 Whale Wings for $4.50, roasted tomato mussels and award-winning flatbreads for just $4.95. 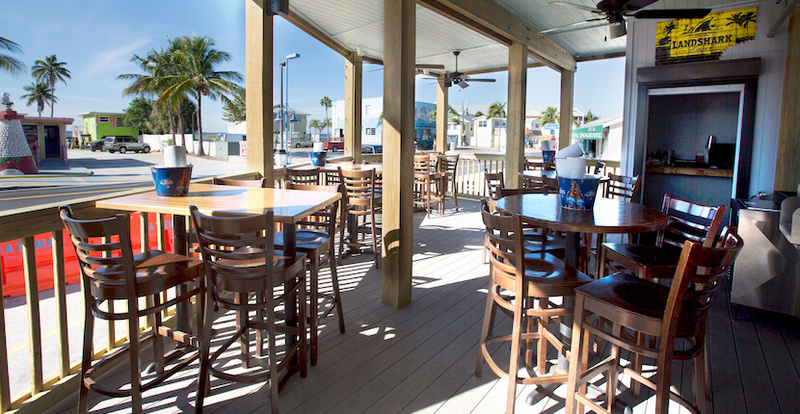 This top-rated Florida beach bar and has won 36 Fort Myers “Best of the Beach” Awards. Additional previous awards include Best Bar, Best BBQ, Best Wings, Best Happy Hour, Best Female Bartender, and Best Entertainment! 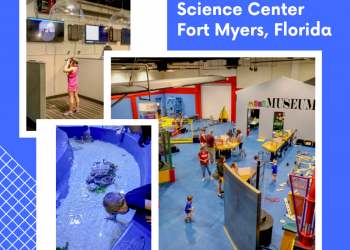 The Whale (formerly The Beached Whale) was included in Frommer’s suggested itineraries under ‘What to do on Day 1 on Fort Myers Beach’. 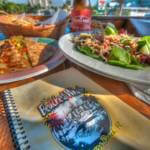 Fort Myers Beach visitors and locals always find something appetizing at The Whale. 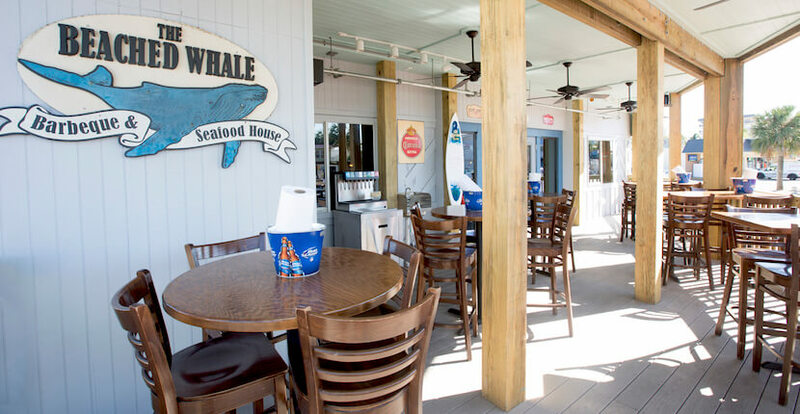 Try their mouth-watering BBQ, fresh seafood, or their famous Whale Wings. 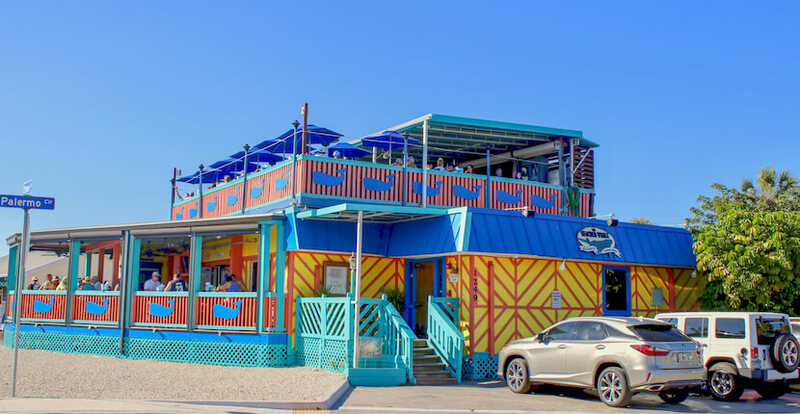 The Beached Whale serves lunch, dinner, and late-night snacks seven days a week. Read The Beached Whale’s featured blog post. 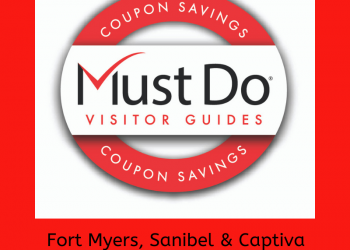 Save and print COUPON below for a free boater’s key chain! Present this coupon to receive a free boater’s key chain. Limit one key chain per customer, per coupon.